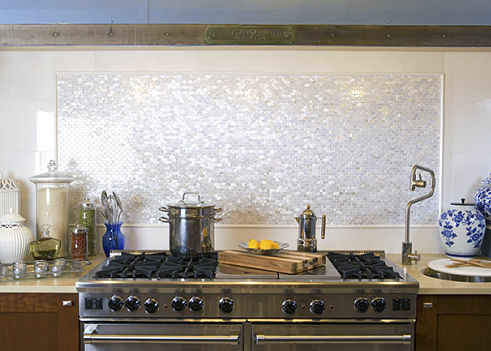 Kitchen Backsplashes: The World is Your Oyster! Your house. Your world. Your choices in beautiful natural ocean backsplashes. If you have an eye for the beauty of Mother Of Pearl, Abalone, and natural ocean shell products then you might want to incorporate it into your kitchen and bathroom. The natural beauty blends in beautifully with all color schemes and is so aesthetically pleasing you’ll never tire of looking at it. The humble backsplash has come a long way. Once upon a time, its purpose was purely functional: a tiled area behind the stove and sink to protect kitchen, bathroom, and shower walls from stains and splashes. Today the availability of all manner of materials in a wide array of finishes means your backsplash can make more of a customized statement. Especially if you love the ocean. Finding the right kitchen backsplash can be a daunting task with so many options out there. But just remember, if you take your time, do some research and go with a design that best suits both your kitchen, bath, shower walls, and your personality, you will be sure to end up with a backsplash that you love. 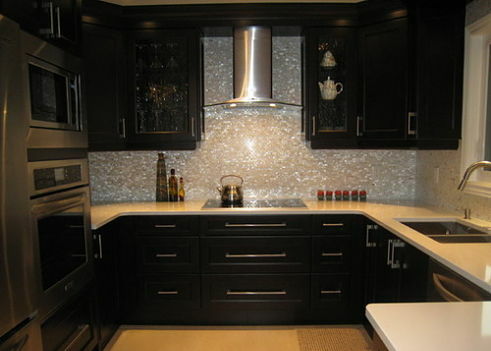 Century Kitchens & Bath specializes in personalizing kitchens and bathrooms to make them yours. 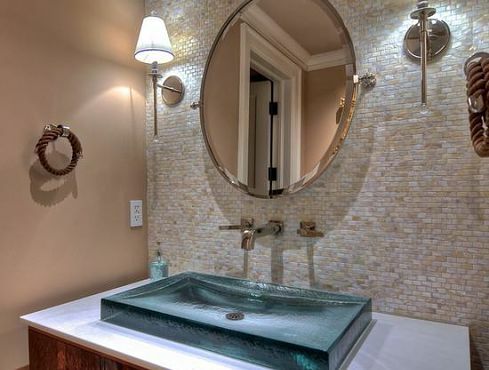 Our kitchen backsplashes and ocean themed bathrooms will make your home stand out. Our friendly and knowledgable team has years of experience and will help you turn your designs into reality. Contact us today to start your project!